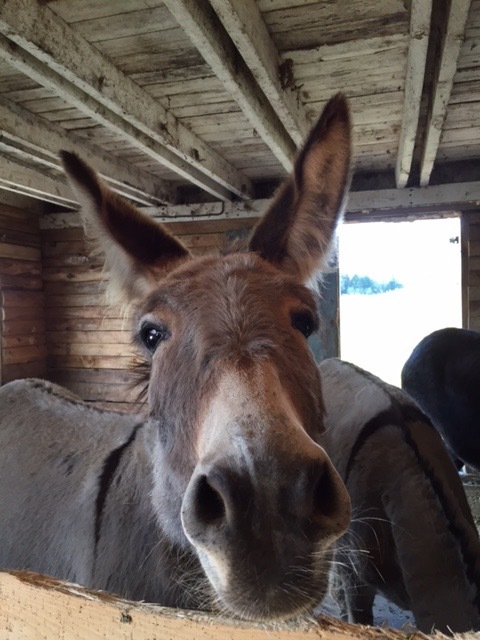 Hee Haw from the Eastern Townships of Québec! Lise and Sandra visit this donkey farm (asinerie en français) near Ste-Anne-de-la Rochelle, Québec. The donkeys on this small farm are like pets; they all have names, they are immensely loved by their humans, and they followed us around for pats and ear rubs. 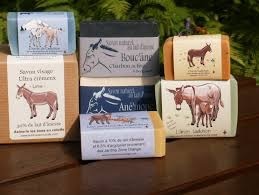 The donkey’s milk is used to make high quality, luxurious soaps and creams. Did you know that Cleopatra took baths in donkey’s milk? It might be a stretch for a gourmet food shop in the Ottawa Valley, but we are excited to be bringing back a lovely selection of donkey milk soap and some creams to Pêches. Thank you Marie-Claire from Les Ânes en Culotte, for sharing your passion with us.